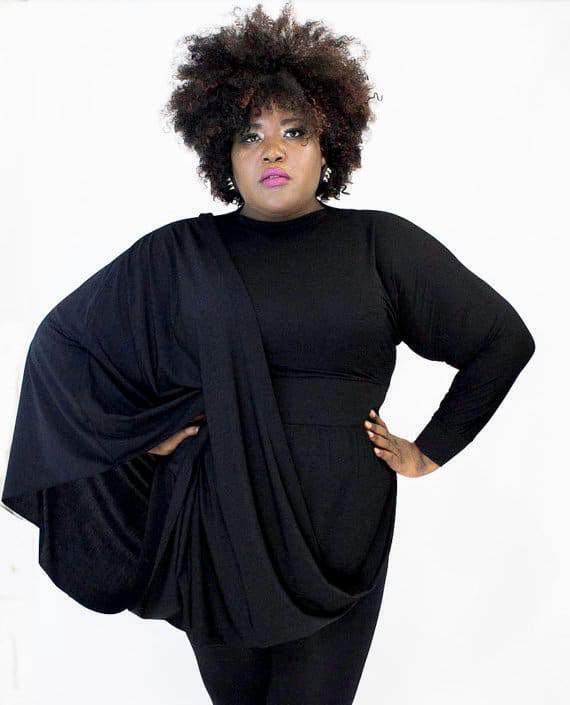 With today’s You Oughta Know Series, we shine the light on plus size designer, A Conversation Piece by S.Benson and a few faves from her collection! Take a peek at what this SCAD graduate has fashioned for our curves! Shopping as a curvy girl has definitely gotten better over the years. For way too long, the options given to us were few and far between. There’s now a wide assortment of shops that are plus centric or size inclusive. That’s AWESOME. But with so many options, I’ve noticed that some lack the recognition others receive. They are just as deserving as other brands, but for some reason… They aren’t as well known. Well I think that should change, and I am here to share some DOPE stores I love and I think you will love, too! For my first You Oughta Know feature, I am sharing a shop from my not-so-secret obsession… Etsy! At first glance, it may seem like there are not a lot of plus size options on Etsy. Sure, a lot of shops have the option to make custom designs. But sometimes the excess fees can be a real turn off. That is why I was so happy to find A Conversation Piece. 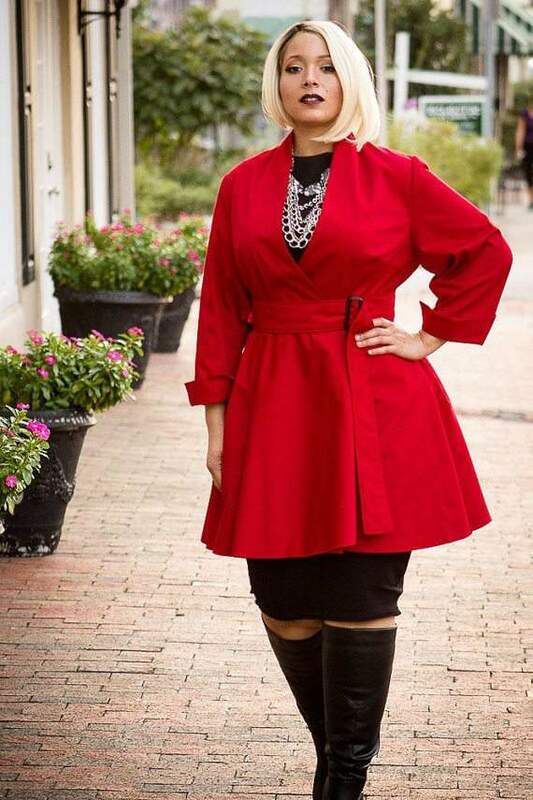 The shop boasts that it makes PLUS SIZE FASHIONS… for everybody. How dope is it that the shop is primarily for us, but our skinny friends can get fly, too? Usually it’s the other way around, and I have to admit that I love feeling the role reversal. Am I petty? Okay, I admit that it’s a little petty! A Conversation Piece is the brainchild of designer S. Benson, who had an interest in sewing since childhood. Disappointed with the (for lack of a better word) slim pickings for women in the plus-size market, she purchased her very first sewing machine for her 21st birthday in 2001. Armed with only her memory of home economics class, she began creating her own designs to wear. Her sewing skills received rave reviews from those in her inner circle, who insisted she make clothing for others as well. Leaving a 9 to 5 job in corporate America, SB returned to school to hone her craft, after being accepted into the Master of Fine Arts program at Savannah College of Art and Design. S. Benson says that she started A Conversation Piece because she wanted “to provide women with an option to be different.” She enjoys using unconventional materials, which is not always something curvy girls can find when shopping for something unique. Her goal is to design clothing that is comfortable, versatile, and gives you the opportunity to hide any imperfections without being super obvious. She calls this “The David Blaine effect” (Don’t you just LOVE that?). And when she says clothing that is versatile, she means it! What I enjoy the most about her fashions is how unique they are. I get the distinct feeling that if I were rocking one of her pieces to an event, I’d be the only one wearing them. This isn’t an easy feeling to come by in our community. This is why I believe you oughta know A Conversation Piece! Check out the store on Etsy to see all of the amazing designs by S. Benson and leave a comment below telling me which look was YOUR favorite. I love this article. Her designs are something that make you look classy and fabulous. I think that designing from the perspective of a plus size person is drastically different from being small and trying to make designs fit a plus size person. She has made these women look beautiful and confident while accenting their best feature…their beautiful smiles and faces. I agree 1000%!! Thanks so much for commenting! 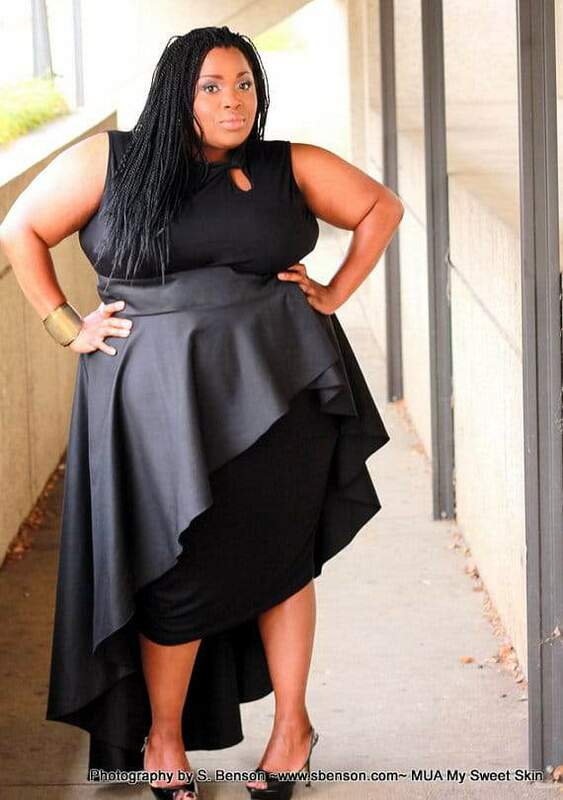 Great article, I’m not a plus size but I’ve purchase items from SB, and had them altered. That’s really what’s special about this clothing line!! Everyone has an opportunity to rock it!! Ms. Benson’s clothing is FANTASTIC! I own several and it well worth every penny. The red jacket is my absolute favorite and I wear it every chance I get. When she advises you will have it by a certain day you do. She has allowed me to have pieces in my wardrobe which fit my small waste and my larger hips. I do not have to have her pieces tailored, she has done all of this for me. I am glad I was advised of her collection and I have not been disappointed with any piece I have bought so far. Great article and I love S. Benson’s Fashion line.